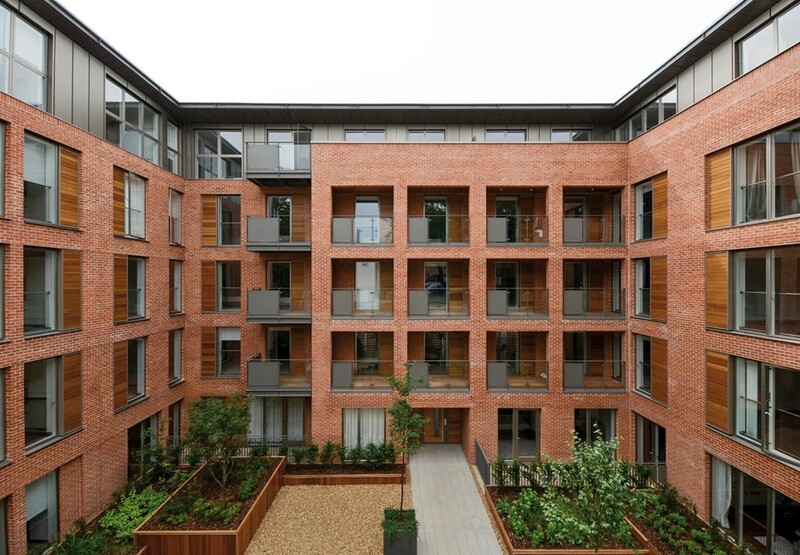 Hopkins Architects have recently completed The Residence, a collection of high-quality homes in Kilburn, London. The building includes 79 one, two and three bedroom flats and sits on a site previously occupied by a dilapidated 1930s factory and disused carpark. It faces a series of traditional terraced brick residences which have informed its design and massing and has effectively regenerated the sites into one, which is more consistent with the surrounding neighbourhood. The building features crisp, well-detailed and articulated building elevations that use the light and shadow created by protruding and recessed elements to bring variety, depth and articulation. 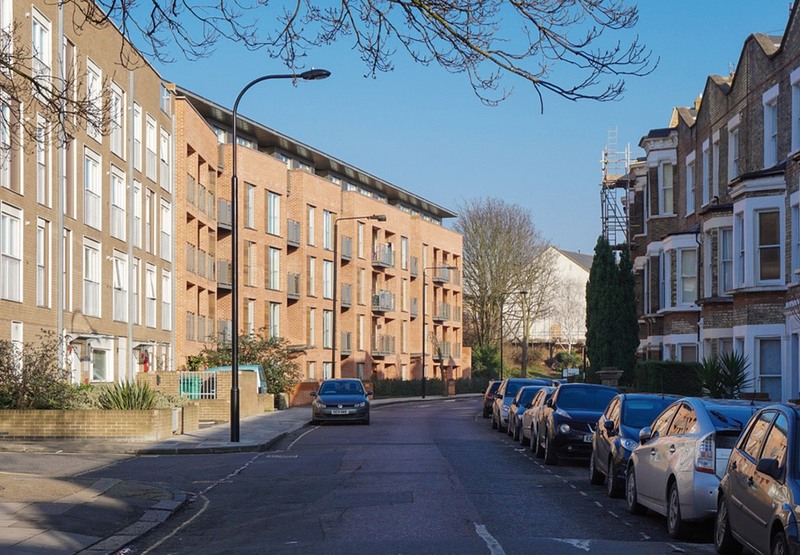 Its main frontage responds to the gentle curve of Maygrove Road itself and to sightlines on the approach from the east and west. It includes generous floor-to-ceiling windows and alternating expressed and sunken balconies, which divide the building into a series of "villa-scale" elements. 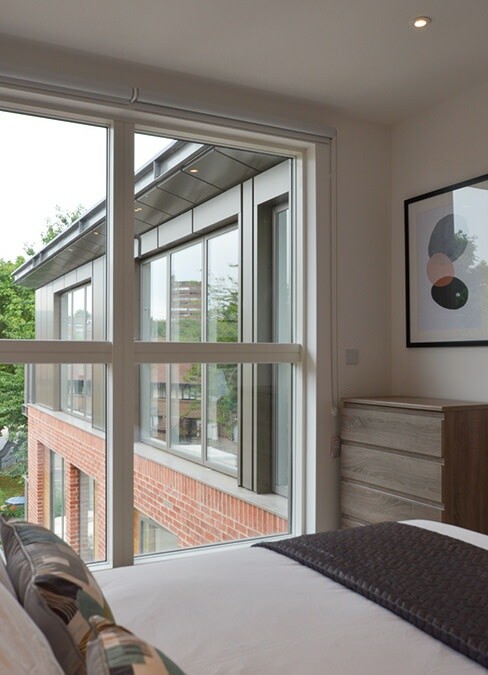 The Residence's lower ground floor houses duplex units connected with those on the ground floor, while the fourth floor features a series of penthouse units with spectacular views over North London. The eastern part of the building overlooks Maygrove Peace Park, offering excellent views over this important green space. Landscaping throughout the site has been particularly important and as such is high-quality and prominent along all sides of the building. To the north, a series of wings have been created to help break down the perceived massing, which have in turn created a series of intimate private outdoor spaces for residents, including a large landscaped Residents' Courtyard. To complement these features, the building also has secure underground parking, a communal gym and concierge service open to residents.